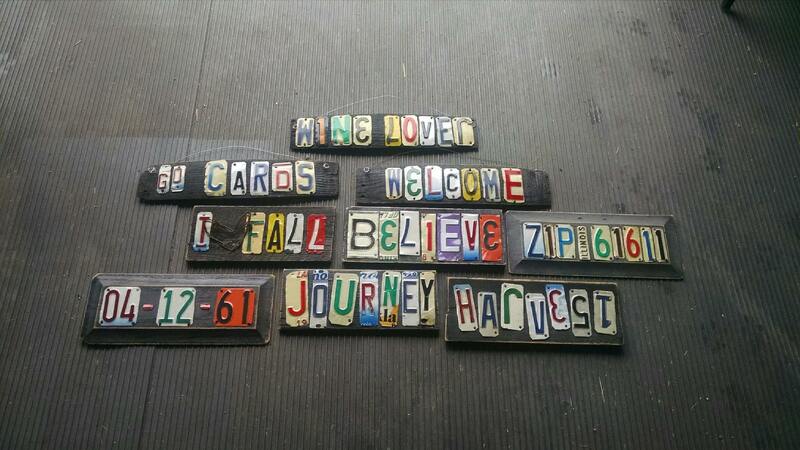 Heather Clemons of Like Mother Like Daughter creates amazing wall art made from license plates. “Creating these repurposed works of art is therapeutic for me,” Heather laughs. “It brings a great close to my day.” Heather hopes our customers enjoy our signs as much as she does, and she takes customs orders.